Deneum , an IT company aiming to shift the paradigm of the energy industry with its Deneum Power Station, has announced that it has successfully concluded a $770 000 private sale. Deneum now gears up for a $89M ICO aimed at reinvention of the $2 Trln global electricity market. Deneum’s core product is Power Station – a compact capsule-shaped module containing the active body. 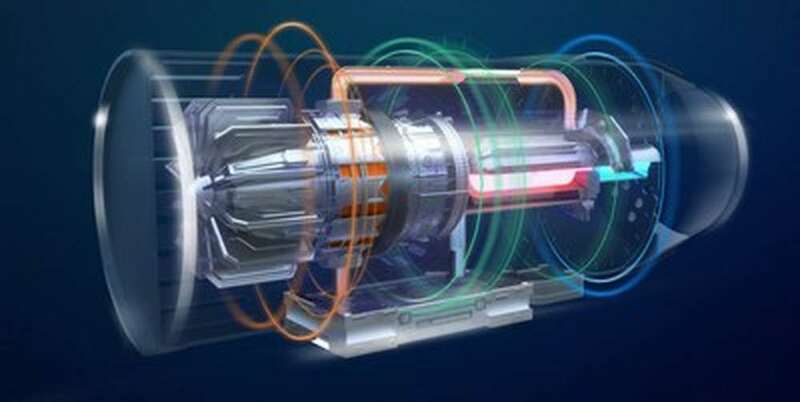 Deneum Power Station’s action principle is based on an interaction between substances within the active body being heated inside the Power Station. The Deneum team blends and specially handles two main materials – titanium and deuterium. The interaction within the body results in excessive heat, which is then turned into ultra-low-cost electricity. “The electricity market is estimated at $2 Trln and blooming, though the explosive consumption increase is still associated with “dirty” fossils, condition-sensitive and unsteady solar and wind plants, cost-intensive and density-lacking batteries,” Deneum CEO & founder Dmitry Samoylovskikh claims. “These are self-limiting technologies with multiple scaling obstacles to overcome, all stagnating or outdated. Deneum shifts the paradigm of energy generation offering a radically more efficient, safe, distributed, low-cost, eco-friendly and renewable power-generating technology. DNM is the utility token of the Deneum project,. It is implied to be used by corporate, public and individual customers to purchase low-cost electricity. Deneum tokenizes the electricity produced by the Power Stations estimating 1 DNM token for 1 MWh of output power produced. While the average price per 1 MWh of electricity in Europe reaches $85 for wind, $62 for coal, $57 for natural gas and $49 for nuclear energy, Deneum’s production cost per 1 MWh stands roughly at $1.7, offering up to 95% cheaper electricity for its early contributors. Even the largest pools and industrial miners are thus provided with an unprecedented opportunity to cut their electricity-related costs by 90%. The Deneum team has successfully concluded the targeted $770k private sale, and will kick-off the second private stage in August, planning to reach the $1.5M cap. The main stage of Deneum’s token sale will take place in October and last for 1.5 – 2 months depending on the project traction and market sentiment. The main ICO stage hard cap is set at $89 M.
The total token emission during all token sale stages is set at 15 000 000 DNM with 11 400 000 tokens available for public purchase. There is no minting or mining implied once the ICO is over, yet Deneum reserves the right to issue new DNM tokens if the supply by current token holders is no longer sufficient for a new consumer to efficiently purchase Deneum electricity.